SO FRESH, SO CLEAN: Is there a more sensational feeling than being refreshed by a Blue Mountain stream? Perhaps the next best thing is being caressed by products from Blue Mountain Aromatics, a beauty line that somehow managed to slip under the radar but has been, thankfully, discovered, in time for Mother’s Day. 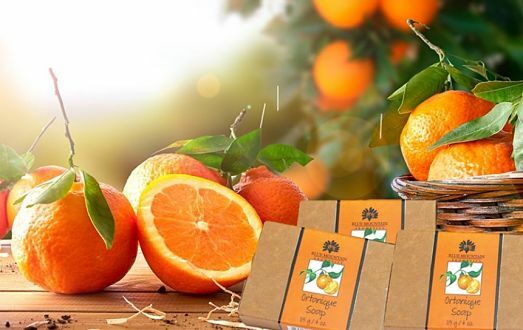 Distributed by Parang Industries Limited, the wholesome skin-care line (smelling like tropical fruity goodness) carries the ortanique soap, the cocoa butter soap, the lavender and vanilla soap and the rosemary and mint soap. Among the key ingredients? Heavenly notes of palm oil, castor oil, coconut oil and peppermint. Why not try them all? Even better, these products are all hand-made in Jamaica. Contact the makers at bluemountainaromatics@cwjamaica.com or call 906-0347. SOME LIKE IT HOT: All Jamaicans know there’s no finer way to jazz up a home-cooked meal than with a great condiment. Sammi’s Gourmet Treats has some terrific options with your name written all over them. For starters, savour the delectable delight of the from-scratch Escoveitch Pickle Sauce (a palate cleanser best served with fried fish and chicken) or the Spicy Tamarind Jam (full of spicy, tangy sweet fruits). Then sample the lunch table-ready Pineapple Jam, Pomegranate Java Plum Jam or the Orange Coconut Jam, made from heart-healthy oranges combined with refreshing island coconuts. Find Sammi’s Gourmet Treats on Facebook and Instagram or visit their home page at sammistreats.com. 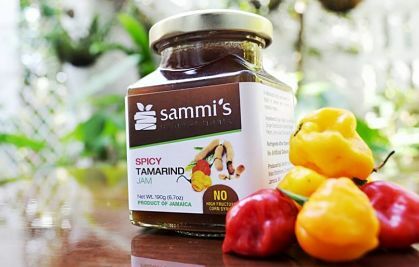 SPICE IT UP: Based in Yallahs, St. Thomas, A Taste of the Caribbean Limited (manufacturers of the Dunson’s line of products) stakes its claim as suppliers of the most tantalizing sauces this side of the region. 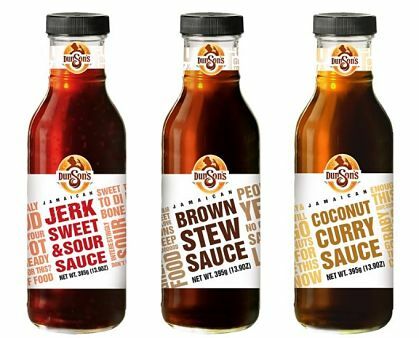 They carry a hefty stock: in addition to their Jamaican Jerk Sauce and Jamaican Jerk Barbecue Sauce, they are known for their Scotch Bonnet Pepper Sauce and Spicy Tamarind Sauce, alongside the finger-lickin’ Jamaican Brown Stew Sauce. Check them out online at dunsonsjamaicafoods.com or contact them at dunsonsfood@gmail.com.